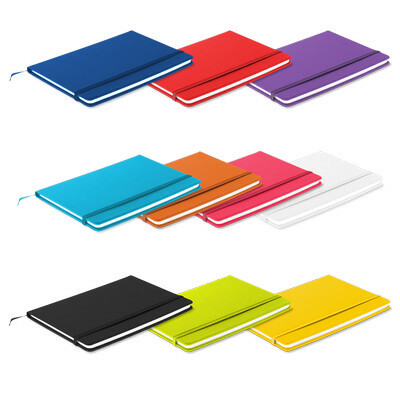 Features: A5 size notebook, Best Seller. Wide range of colours available. Features a hard cover with 160 lined pages. Price includes : 1 COLOUR 1 POSITION PRINT. Setup is included.